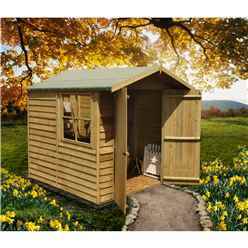 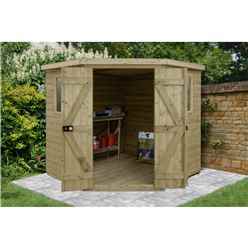 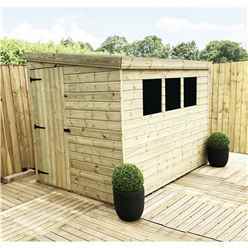 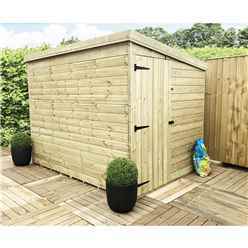 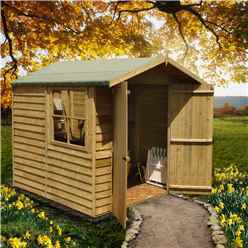 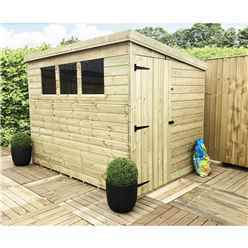 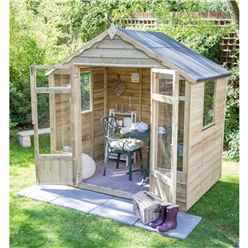 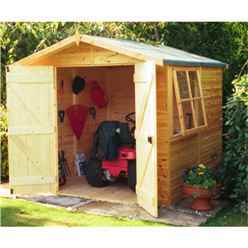 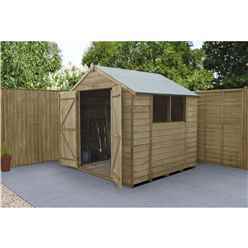 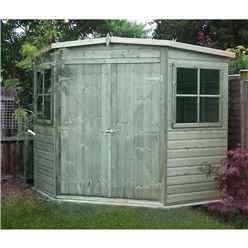 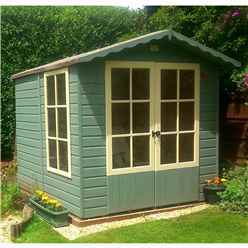 7 x 7 Pressure Treated Garden Wooden Sheds. 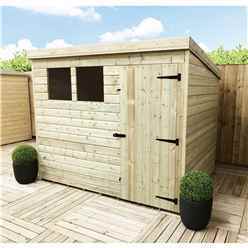 Pressure treated sheds are proving more and more popular due them not requiring additional treatment unlike standard wooden sheds. 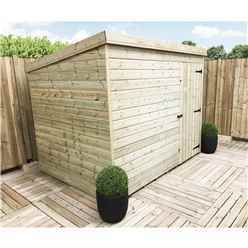 The treatment consists chemical process which prolongs the life of the wood and increases the durability and resistance against fungus and insects. 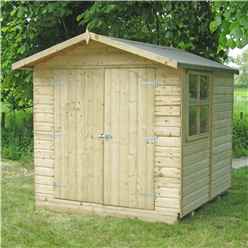 The pressure treating process involves forcing a chemical solution into the wood under a huge amount of pressure. 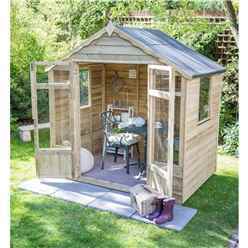 Most of the solution is then vacuumed back out of the timber. 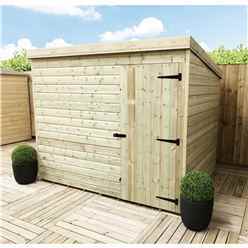 Even after this process, the wood will still consist of some moisture, it will then act like a sponge which helps the panels absorb more water. 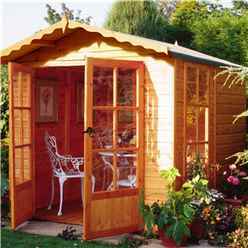 It is only when the wood has completely dried out that it will be water repellent. 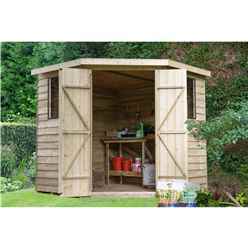 Which is why after the treating process the wood is then stacked to dry.